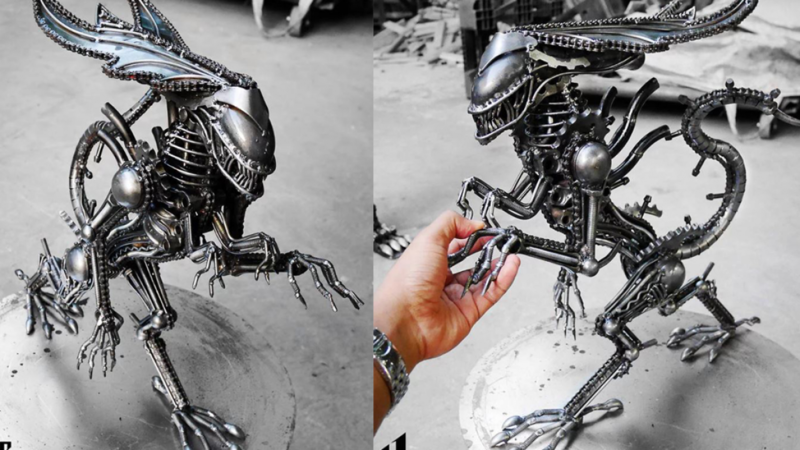 This recycled metal queen monster statue is handmade from recycled parts. It is made of recycled metal, recycled car parts, recycled motorbike parts and other recycled machine parts. Because of the nature of the parts used every statue is different. Each one is an original work of art with its own unique characteristics. You will love the way that this statue adds an interesting element to any room. Display it in your home or use it to add a quirky and personal touch to any professional office. If you are a fan of industrial or steampunk styles then you will enjoy checking out the portfolio of this amazing etsy artist. 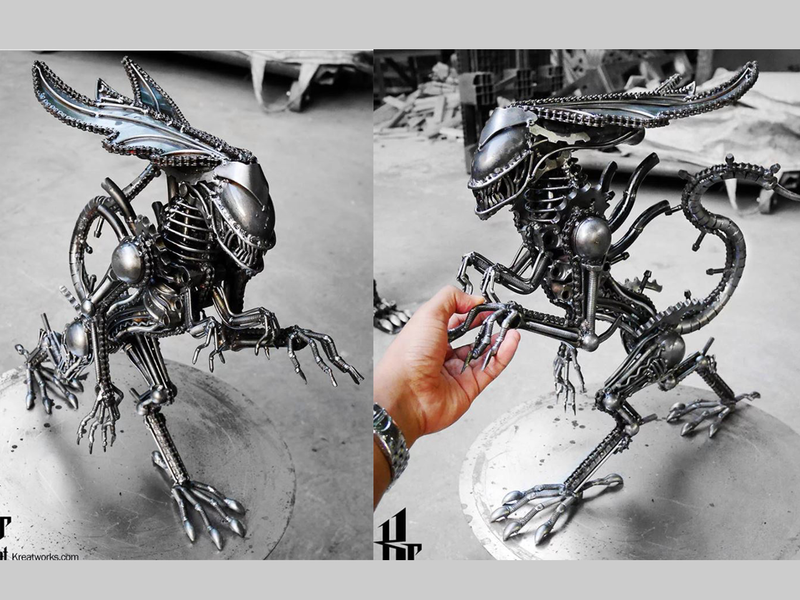 This artist has many different sculptures on offer that utilize the same design style. There are monsters, robots, aliens and more. You will love the way that everyone's attention is immediately drawn to this cool piece. It is a cool work of art because it is a modern and unique one of a kind piece. The sculpture measures 51 cms high, 62 cms long and 33 cms wide. This is a wonderful gift idea for anyone who enjoys quirky and creative items. In order to ensure that the piece is durable it has been coated with a lacquer that will protect it from rust. If you like this awesome work of art you may also like to check out the following.